The Financial Industry Business Ontology (FIBO) is not only a conceptual ontology that conveys the standardized meaning of financial industry concepts and terminology; it is also the basis for building dramatically new operational capabilities to support financial and regulatory driven use cases. FIBO provides the semantic scaffolding to construct enterprise and line of business ontologies that will offer next generation data capabilities for organizations. FIBO will also play a critical role in exploiting emerging technologies. It is well positioned to provide standards for blockchain distributed ledger smart contracts and provide a foundational capability for knowledge graphs and machine learning. David Newman is Senior Vice President and Strategic Planning Manager for the Innovation Group at Wells Fargo Bank. David chairs the Financial Industry Business Ontology (FIBO) program for the Enterprise Data Management Council, which is an industry-wide initiative to develop semantic knowledge bases for the financial industry. FIBO is being developed as the next generation global financial data standard. At Wells Fargo, David provides leadership for innovation initiatives that utilize emerging technologies that will have positive impact upon Wells Fargo’s customers and internal operations. David’s area of concentration is the application of machine intelligence technologies to financial services. This includes a focus on semantic technologies, machine learning, natural language processing, and graph analytics. David also leads the Semantic Technology Community of Interest at Wells Fargo. David is a frequent speaker at technology, academic and financial industry conferences. 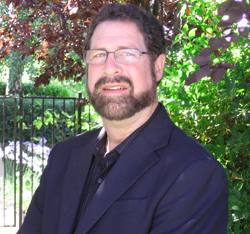 David holds an MBA in Information Technology and an MSW in Psychiatric Social Work.